Balakrishna as Special Guest for Shamanthakamani | Shamanthakamani News Balakrishna as Special Guest for Shamanthakamani: Balakrishna will attend the pre-release event of Shamanthakamani as chief guest which will take place on July 3rd. Nandamuri Balakrishna has been busy shooting for his next movie titled Paisa Vasool. Sensational director Puri Jagannadh, the movie is said to be a stylish action entertainer. Paisa Vasool features Balayya as a gangster in the film. The actor will be attending the pre-release event of Shamanthakamani which completed shoot recently. Sriram Aditya directed the movie which is said to be a thriller and the pre-release event will take place on July 3rd in Hyderabad. Nara Rohit, Sudheer Babu, Sundeep Kishan and Aadi played the lead roles in the movie which is all about a robbery. 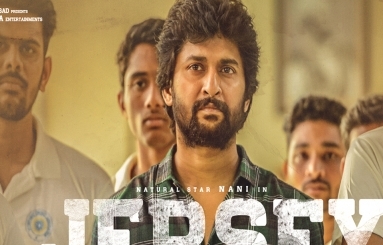 The recently released theatrical trailer is a massive hit all over and Manisharma composed the music. V Anand Prasad bankrolled Shamanthakamani on Bhavya Creations banner. Shamanthakamani is all set for July 14th release. Shamanthakamani has been carrying massive expectations and is made on a budget of Rs 10 crores.